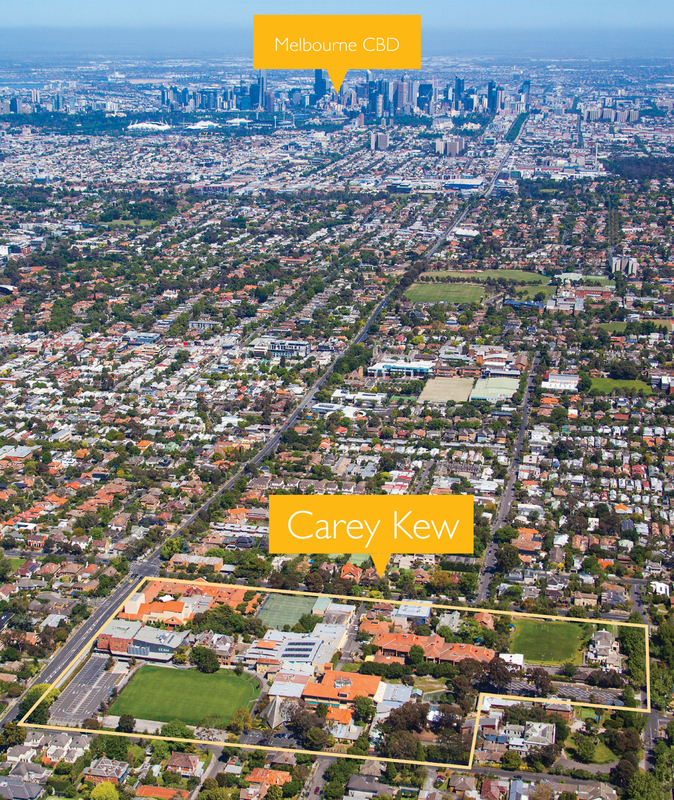 Carey has four campuses: the Kew campus (ELC–Year 12), situated close to Melbourne’s CBD; the Donvale campus (ELC–Year 6), located in the outer eastern suburbs; the magnificent Sports Complex in Bulleen, approximately mid-way between our Kew and Donvale campuses; and Camp Toonallook, our Outdoor Education facility on the beautiful Banksia Peninsula in East Gippsland. From Kindergarten to Year 12, Carey students enjoy facilities that have been purpose-built for the needs of their age group. We have a strong commitment to creating a physical environment that is inspiring and sustainable, and we are currently engaged in a range of developments to ensure that the spaces in which our students and staff learn, work and play best meet the needs of education in the 21st century.